How To Manage Commercial Challenges in Argentina? When it comes doing business, Argentina represents an attractive destination. It has one of the largest economies in the region, with a diverse range of national sectors (notably oil and gas, agriculture, tourism and IT) and a highly educated workforce. Additionally, it has an abundance of natural resources and an advantageous geographical position for imports and exports. Nonetheless, when operating in Argentina, several challenges may be faced. Although the new Simplified Shares Company (SAS) has been implemented, which simplifies the company incorporation process to a certain point, establishing a legal entity in Argentina is complex and takes time. Apart from the SAS, there are the Public Limited Companies (SA) and the Limited Liability Company (SRL). If you are looking to incorporate a local company, it is advisable to work with a local legal firm who can assist with the incorporation process, including the filing of documentation with the local authorities. When you settle in Argentina, you should familiarize yourself with the local tax system. Taxes are managed by the Administración Federal de Ingresos Públicos (AFIP) at the national, provincial and municipal level. 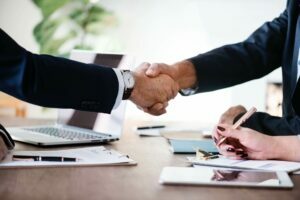 Sworn statements corresponding to the commercial activity of the business must be submitted regularly to AFIP, and therefore, hiring a local accountant is the best option to avoid potential fiscal problems. You will need to choose which type of employment contract you will hire staff under. If you decided to enter the market through a company formation, you may at some stage decide to hire staff. Argentina is known for having a highly educated workforce (many whom speak English fluently). This makes it a simple operation to find suitable staff to support your business growth. However, it is advisable to have a comprehensive understanding of local labor law before engaging staff. When entering the Argentinian market to establish a new business, there are important issues you should consider. First, and most importantly, you should look at the option to apply for a residence permit, issued by the General Directorate of Migration. There are a lot of visa options to consider, including an employment visa or an investor visa. The most viable way to ensure a permit is to be hired by a local company, which sponsors your visa application. The visa application process can be somewhat complicated and the process often takes months to process – the sooner you start and submit your visa application, the sooner you can begin work. If you are concerned that your application will be rejected, you can work with immigration specialist who can guide you through the correct paperwork and application procedure. Argentina has a strategic geographical position both in Latin America, but also on a global scale. With its extensive coastline, developed ports, and the fact that it shares a border with 5 Latin America countries, it comes as no surprise that Argentina is an excellent location to import and export merchandise. Nevertheless, local regulations, as well as the complexity of business procedures, make it necessary to work with a local trade expert to manage these regulatory issues. Argentina is an enormous nation, with an area of 2.7 million km2, making it one of the largest countries in Latin America. While its size has allowed Argentina to develop a strong and diverse agricultural sector, you need to take into account logistics depending on the type of business activities you wish to undertake. Argentina’s currency is the Argentina peso (AR$), which is largely affected by US dollar fluctuations. Therefore, the local economy must deal with these exchange rate fluctuations. Consequently, many individuals and local companies decide to open bank accounts in both Argentine pesos and US dollars to mitigate currency fluctuations and exchange rates movements. Since you may need the judicial system to enforce a contract with a supplier or a customer, it is of importance to research the Argentinian judicial system in advance before beginning commercial operations. The judicial system in Argentina, unfortunately, is lagging behind more developed nations in Northern America and Europe. However, recently, reforms have been carried out and adjustments have been implemented to streamline and simplify processes – a win for businesses and FDI in Argentina. While Argentina is more accessible than ever to investors, it is advisable to investigate and prepare for commercial challenges that many businesses face while conducting operations. If you are thinking about entering the Argentine market and want to ensure that your operations run smoothly, reach out Javier, our Country Manager and Senior Lawyer of Biz Latin Hub Argentina at [email protected] for personalized support.